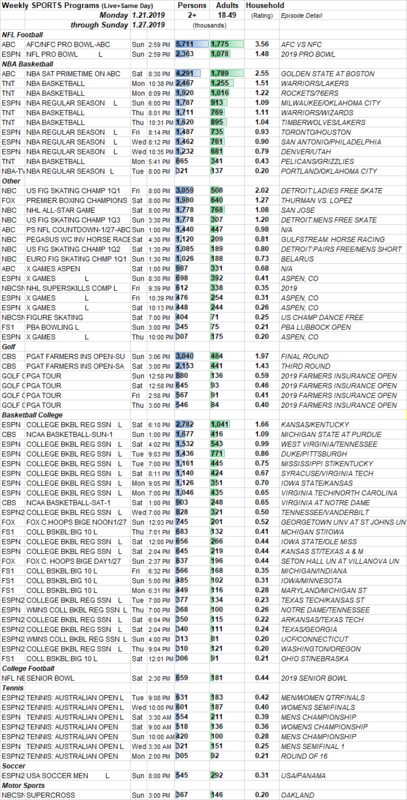 Here are the full week sports ratings for Monday January 21 through Sunday January 27, 2019. 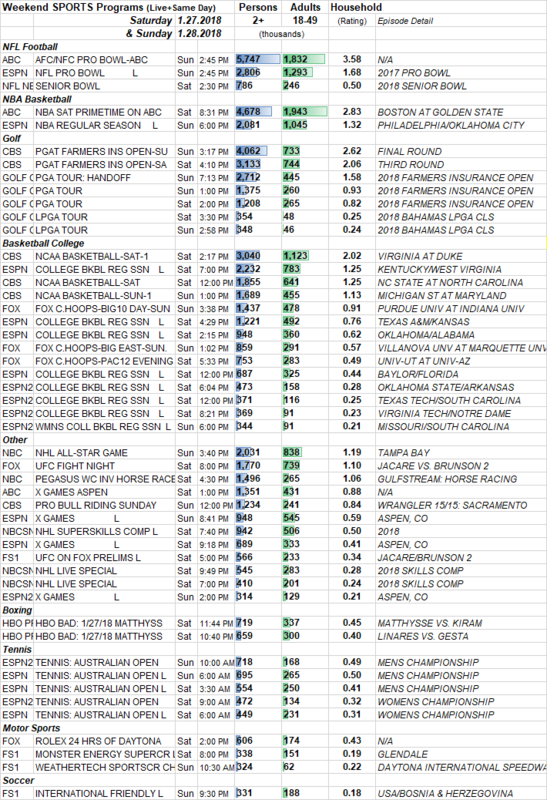 Eligible programs include sporting events on broadcast and cable networks (minimum audience size 300K P2+ live+same day). Programs are grouped by sport and ranked within each sport by P2+ audience size.